To celebrate Black History Month, Coffee Bluff Pictures partnered with the Southern Documentary Fund and Seed&Spark to launch a crowdfunding campaign for the production of the film OLYMPIC PRIDE, AMERICAN PREJUDICE. The film explores hardships and achievements of 18 largely forgotten African American Olympic heroes who competed at the 1936 Summer Games in Berlin, Germany. 'The unheralded story of these 18 athletes deserves its place in the annals of history and we are honored to tell this chapter,' said writer and director Deborah Riley Draper. Atlanta-based Coffee Bluff Pictures is completing production of the highly anticipated documentary Olympic Pride, American Prejudice. History remembers one African American hero, Jesse Owens, from the 1936 Olympics, but this film shines a light on his other 17 accomplished teammates. Set against the strained and turbulent atmosphere of a racially divided America that was torn between boycotting Hitler’s Olympics or participating in the Third Reich’s grandest affair, the film tells the incredible but largely unknown story of 18 African American Olympians before, during and after their heroic turn at the Summer Olympic Games in Berlin in 1936. The 16 men and 2 women stood up against discrimination with intelligence, grace and honor, setting an important precursor to the modern American Civil Rights Movement. The film is set to be released in 2016 to commemorate the 80th anniversary of their historic feats at the 1936 Olympics. This story is complicated, triumphant and unheralded. The role of these African American heroes is a vital part of history and is as relevant today as it was then. To celebrate Black History Month, the film’s producers partnered with the Southern Documentary Fund and Seed&Spark to launch a crowdfunding campaign to raise the $50,000 necessary to complete production. Contributors can log on to http://www.seedandspark.com/studio/olympic-pride-american-prejudice to support the campaign. The Southern Documentary Fund fiscally sponsors the film and contributions to the crowdfunding campaign are tax-deductible. Writer/Director Deborah Riley Draper says: “Black history is American history. These 18 African American heroes defied racism and Nazi Aryanism and created a powerful springboard for the American blacks to rethink the notion of second-class citizenship. Their unheralded story deserves its place in the annals of history and we are honored to tell this chapter." The project has completed extensive research and has shot over a dozen interviews, including Dr. Harry Edwards, Ralph Metcalfe, Jr., son of 1936 Olympian Ralph Metcalfe, Olympian Anita DeFrantz, Olympian Nelson Vails, 1936 Gold Medalist Adolph Kiefer and 100 year-old 1936 Olympian John Lysak. "I have a gold medal, but in history, it is not as important as their gold medals. For me, there is something that is so special about what they did, and who they did it in front of,“ adds Coach Joanna Hayes, 2004 Olympic Gold Medalist in the 100 meter hurdles. 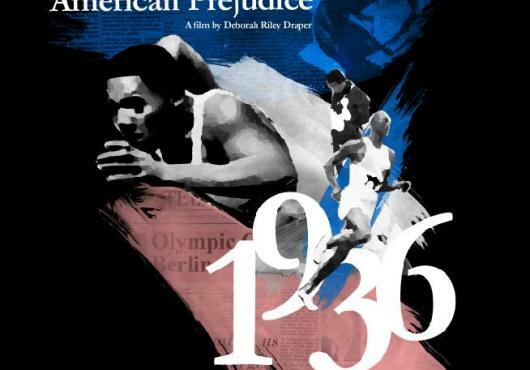 Olympic Pride, American Prejudice takes a different look at the 1936 Olympics and the role 18 black athletes played in changing not only the gold medal count but the misconceptions about race on both sides of the Atlantic. Coffee Bluff Pictures is the producer, and Stuttgart-based Mouna Studios has signed on as the international co-production partner for the film. Deborah Riley Draper is an advertising executive and filmmaker. Her debut film, Versailles ’73: American Runway Revolution, received acclaim from critics and fans alike, including the New York Times, LA Times and Harper’s Bazaar. Coffee Bluff Pictures is an Atlanta-based independent film venture created to develop, produce and distribute compelling stories that shed light on the lives of the under-represented. Mouna Studios is a Stuttgart-based film production and distribution company. Mouna is also a leading integrated content/transmedia company. Their projects include The Black Power Mixtape 1967-1975 and Slow. Seed&Spark is building a truly independent film community where filmmakers and audiences join forces to fund, promote and watch the best new independent films. As a selective crowdfunding platform and curated streaming service, Seed&Spark is an online destination for engaged audiences to get involved in exceptional projects at all stages. Seed&Spark's film specific crowdfunding tool - the "WishList" - allows supporters to buy or loan specific items to a production. Every time an audience member supports a project, they earn rewards points called "Sparks," which they can spend to watch films on the streaming platform. Supporting films gives audiences greater access to watch them. Based in Durham, North Carolina, the Southern Documentary Fund (SDF) was founded in 2002 by two independent filmmakers with a vision: to create a home for Southern documentary artists. Over the past decade, SDF has become a trusted partner for veteran and emerging documentary producers across the region, helping them direct their lenses and microphones at powerful Southern stories and issues of significance.